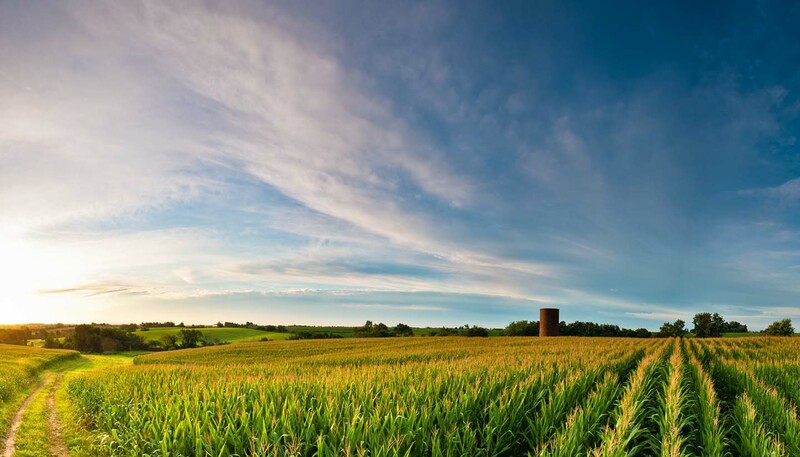 Easy-going Iowa is a classic, Midwest mix of sprawling cornfields, picturesque prairies and traditional towns, neatly connected by a network of scenic byways and trails. Iowa has a veritable pick and mix of road trips. The Mississippi River winds down the state’s eastern border; along its shore, the Great River Road passes 19th-century river towns, prehistoric Indian mounds, chugging paddleboats, and rocky cliffs, where you can catch sight of soaring bald eagles in winter. Alternatively, you might discover Iowa’s Danish and German heritage on the Western Skies Scenic Byway or drift around the Driftless Area, a region of Iowa renowned for its limestone bluffs and tree-blanketed valleys. Or how about a jaunt down Route 6, which winds 5,877km (3,652 miles) from Massachusetts to California? Iowa’s chunk boasts its share of quirky roadside attractions, including the world’s oldest ice cream fountain and a 5m-tall (16ft) gas station man. Iowa’s wacky sights don’t stop there. There’s also the world’s largest bull (Albert, built in 1964), a 4m-tall (13ft) wine bottle (also a statue, sadly) and the planet’s teeniest church. Pretty Iowa City is North America's only UNESCO City of Literature and is an essential stop for budding scribes, who can join one of the University of Iowa’s renowned writers’ workshop. The Lycra brigade are also well catered for: the state boasts more than 2,900km (1,800 miles) of bike trails through native woodlands, wetlands, trestle bridges, open prairies and farmland. Stop pedalling to pick apples or glug cider at dozens of orchards. Taste a bit of everything at NewBo City Market in Cedar Rapids, a regenerated industrial site turned buzzing market, stuffed with local produce, eateries, artists’ studios and performance spaces. Or cycle alongside horse-drawn buggies in Amish and Mennonite communities and bag yourself some baked treats. 145,741 sq km (56,271 sq miles).